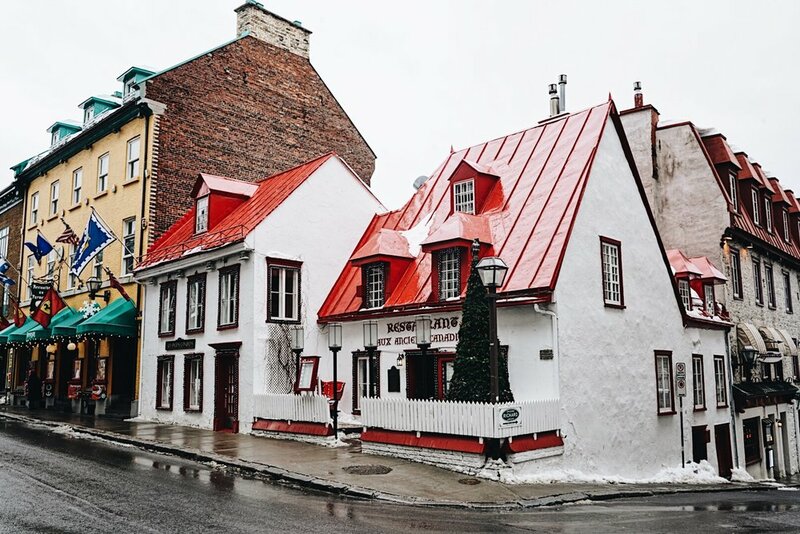 On our trip to Montreal we decided to do a one night stay in Quebec City. It's only just under 3 hours by train from Montreal. 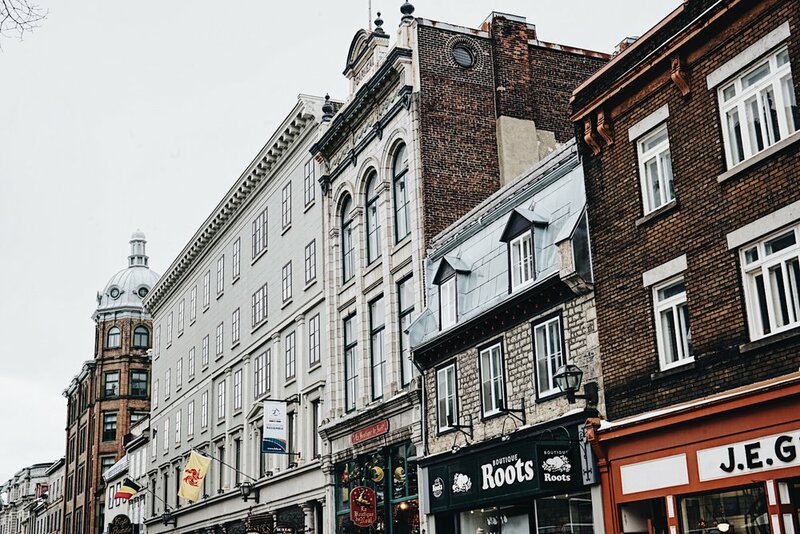 One night was plenty to explore the unbelievably cute Upper and Lower towns and see the beautiful Chateau Frontenac (which has been converted into a hotel). We stayed in lower town courtesy of the cute Hotel 71, but don't worry it's only a 10 minute walk between Upper and Lower town. The hotel even had a wine fridge which let you swipe your room card and pay at check out! 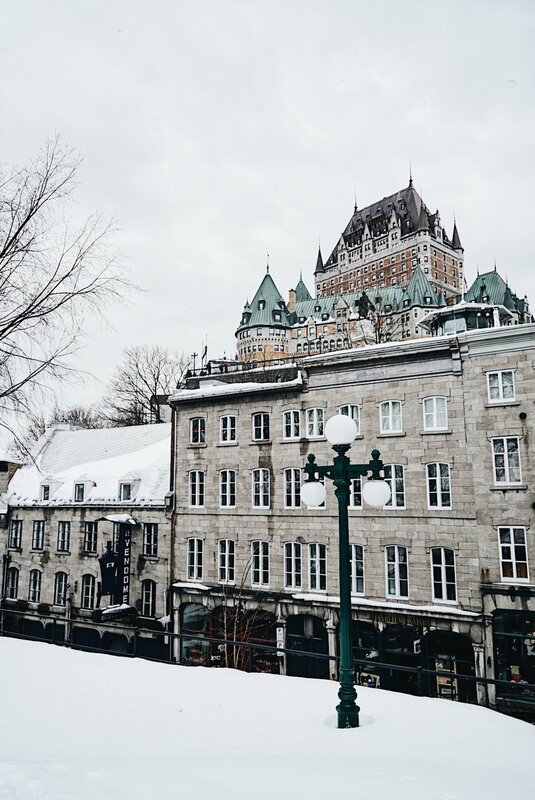 It seems like Christmas in Quebec never ends, especially because it's exactly like I picture Santa Clause's hometown. We watched Anthony Bourdain's episode on Quebec and opted for the old school Le Continental for our dinner. It was awesome experiencing a flambeed steak at the table. For poutine I recommend Le Chic Shack and definitely get drinks at the chateau!